Mowbray Interiors offer a variety of office, factory and warehouse solutions and refurbishment to create world class workplace environments. Your office interior is important; not just for your own comfort but to make an instant impression on customers and clients visiting the premises. It also plays an important role in employee retention, providing them with comfortable and inspirational surroundings where they are motivated to produce their very best work day after day. With our expertise and bespoke design services, Mowbray Interiors will transform your workplace into an efficient, modern working facility that will inspire your employees, impress clients and be a space you’re proud of. 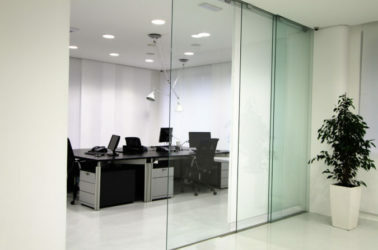 Mowbray Interior’s office refurbishment services and solutions allow us to create world class workplace environments. Storage is key within a busy workplace; allowing for quick and easy access to tools, materials and products. Mowbray Interiors offer a wide range of pallet racking and tailored shelving systems suitable for every office, warehouse and factory. With our partitioning systems and bespoke design service, Mowbray Interiors can produce offices both small and large to meet any need. As well as enhancing the look and feel of your workplace, suspended ceilings from Mowbray Interiors can help save money by insulating the room and improving the acoustics in noisy working environments. Do you need to find additional floor space in your office or warehouse? Rather than moving premises in search of the room you need, speak to Mowbray Interiors about how our mezzanine flooring solutions can help you make the most of the unused headroom in your existing workplace. From design to installation, Mowbray Interiors offer a wide range of mezzanine flooring solutions. Whether you are looking to create office, warehouse or production space, we are able to offer a bespoke look at affordable prices. Mowbray Interiors know the importance of workplace aesthetics. Transforming the look and feel of your office interiors can inspire staff and appeal to clients, as well as offering extra space for continued growth. We put you and your needs first, ensuring the space we create works with you. Mowbray Interiors design and build office, factory or warehouse storage solutions to last. We help our clients to manage their space effectively, increasing efficiency with fully customised storage solutions for existing and new spaces. Let Mowbray Interiors provide the storage solutions you need. We can take care of your storage wants and needs and even install new mezzanine floors to enhance your showroom.